Coach Teddy Hicks begins his seventh season as head coach for the Cal State San Marcos Cougars in 2018. 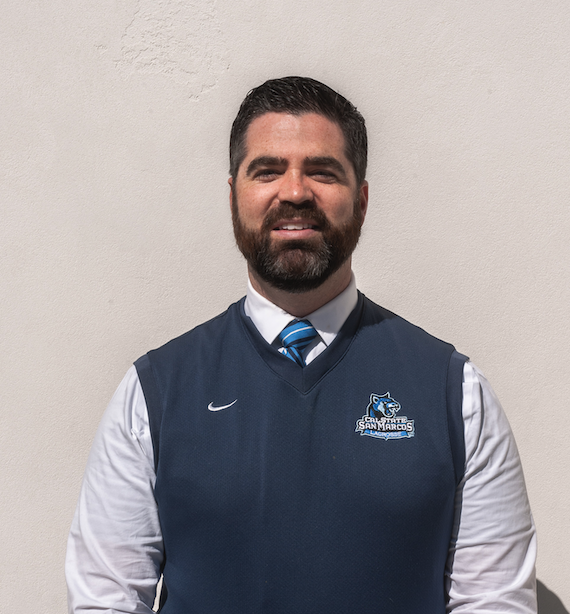 Coach Hicks has over fifteen years of experience in playing and coaching lacrosse at an elite level. He was a multi-year captain and all conference selectee for the Boise State University Broncos. Upon graduating from Boise State, Coach Hicks was invited to play with team Gatorade and received an invite to tryout for the now disbanded Los Angeles Riptide. His coaching career began at Timberline High School in Boise Idaho, as part of a staff that took the Timberline Wolves to a State Championship. He was the head coach at Laguna Hills High school where he turned a losing program into the Sea View League champions in only his second year. At Laguna Hills Coach Hicks compiled a 29-11 record in two years and was voted “Coach of the Year” after his championship 2012 season, in which he compiled a 17-2 record. Under Coach Hicks, San Marcos has compiled a 55 - 31 Record with 5 trips to the conference playoffs and 1 trip to the National Championship Tournament.